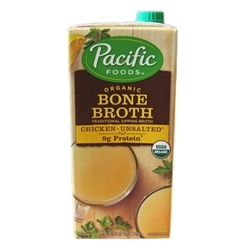 Pacific Foods Organic Chicken Bone Broth is slow simmered with organic chicken bones, onion, vinegar and rosemary for a savory bone broth full of naturally occuring protein. Traditionally sipped by the cup, bone broth is a delicious, satisfying addition to your everyday routine. 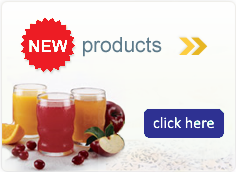 Ingredients: water, chicken*, onions*, carrots*, celery*, spices*, cider vinegar*, rosemary extract* (antioxidant).